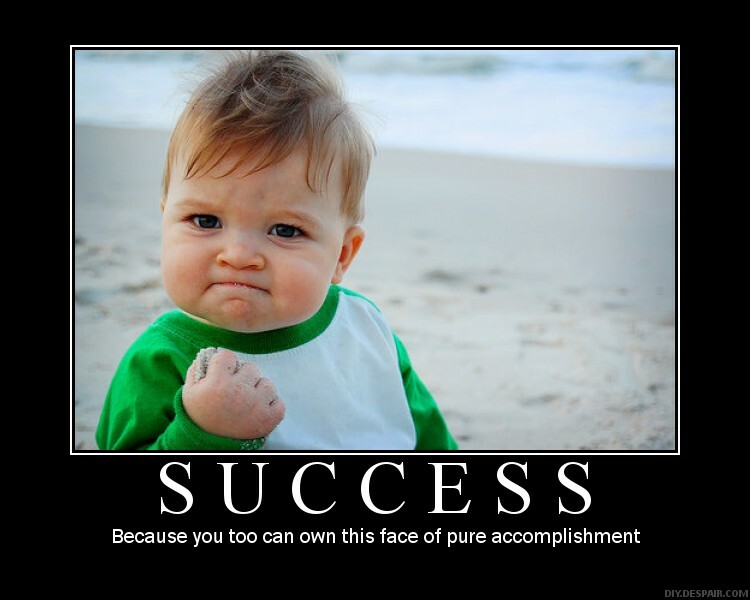 We all crave success, whether it is as part of a public enterprise or a private company. To be the best and to do well is built into our system; it is inherent in our genes. However, many of us don’t know how to achieve success and struggle valiantly on while others around us do well and become successful. This article looks at a few ways in which you can build success into your business life. The first thing you need to do is to build a vision. A vision is an image in your head, crystal clear, that shows you mentally what you expect to achieve when you are successful. Have a clear vision to help you when things are tough. And a vision also guides you from one point to another point. This means that if you have a vision you have a plan that will help you get from point A to point B. Point A is where you are now and point B is success. Take the time to map out on paper or on computer a clear vision of what success looks like for you. Does it mean the big house and the car, or does it mean perfect family life? Does it mean €1 million in the bank, or is it more appropriate to you to just be happy? Once you know what your vision means to you and what it looks like then you can start moving towards it. This is your first step towards success. Your next step is then to develop a business plan to help you move towards your vision. A business plan need not be incredibly detailed but you should be able to see, through the plan, a clear idea of what you need to do to move your business forward. Goals and targets for income and for expenditure etc should also be included in your business plan. There are plenty of people out there and plenty of websites that can help you create a business plan. If you need to, hire someone to help you do it. After this, research your market. Building a business that will help you meet your dreams of success means that you must know your market. Who is going to buy from you and who is going to tell others about their buying experiences with you? Know the people that you want to sell to and know what they like. Know their needs and their own desires for success and you should be one on the way to fulfilling them. Once you are on your way you should then be able to ensure that you are consistent and persistent in what you do. You will meet many pitfalls and challenges but the very best and most successful people on the planet never, ever give up. They meet these challenges and overcome them, or if they are difficult to overcome they just accept them for what they are. They are just outcomes, and one day you will receive the right set of outcomes to move you towards success. Until then, just persist and you will get there. This entry was posted in Business Success and tagged Arsim Shillova, Beacon Initiative by padraigbeaconinitiative. Bookmark the permalink. Arsim, great points. I totally agree with being consistent and persistent. I try to let each ‘knock’ give me experience and not let it put me off my vision. I’m thinking big but starting small…….